The market-makers wondered aloud at the end of 2016: Which way will our economy turn with new policy makers in Washington? Will our national debt become difficult to service with higher interest rates? Will our unfunded pension liabilities force broad-scale local bankruptcies? Or will we pull the government back, liberate our taxpayers and traders, and allow our entrepreneurial base to do what it does best? A consensus emerged in December that our days of forestalling hard debt and demographic-driven choices are limited. Many worry that it is too late, or that the incoming President is too politically inexperienced to put our national finances back on track. Others think – with the recently elected – we may see tremendous opportunity to re-establish growth and loose our economic fetters. From bonds to stocks to more pure measures of market volatility, President-elect Trump continues to bring opposing views out after long years of – what many will consider stagnating – policy consensus. After the US elections, stock market indices took off. The bond markets tumbled. The Federal Reserve Bank raising rates didn’t help bonds, of course. Gold, silver and platinum prices eased as the world creeps out from under the Sword of Damocles that has long been the official policy of zero interest rates(One can’t have functioning capital markets when central banks are pricing capital at zero). The markets overall seem tentative about what direction, economically, the US should expect. Will the US experience crisis, or will it find the real growth in incomes and economic opportunity that has eluded us for the past 12 years? Uncertainty and Opportunity – Platinum can reduce the former, but increase the latter in one’s portfolio. Following the mixed signals of the markets at year-end 2016, one could be forgiven for being conflicted. Should an investor protect investments against debt deflation, or worse, Venezuela or Zimbabwe style inflation? 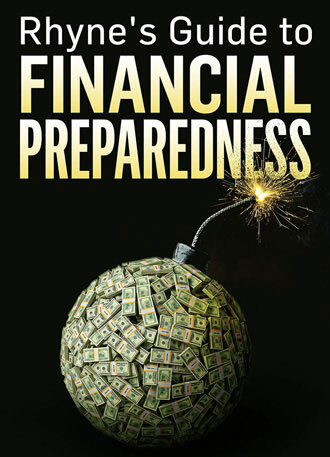 Or should one avoid more overt economic collapse by staying out of markets altogether? On the more optimistic side, might an investor sell stocks for cash and therefore miss a massive potential economic revival? We believe that physical platinum holdings in a portfolio will allow protection against inflation and financial asset deflation, while allowing positive upside in value when the US economy regains its freedom and hence its strength. How does a hedge against downturns allow one to participate in upsides? At the risk of sounding like a breakfast cereal company, gold and silver and platinum(!) should be part of a portfolio’s complete breakfast. Bond and stocks have their primary roles for income and stability, but both asset classes (excepting maybe TIPS) tend to fall apart when radiated with inflation. The metals, specifically the precious metals, usually do well when the controlling central bank loses control of the money supply. Next we should take the time to ask what for many might seem obvious: Does gold really diversify against inflation? Inflation diminishes the real returns that bonds and stocks normally might offer. Markowitz diversifiers want to add assets with values that are low or – even better – negatively correlated to their other assets. The relationships between gold and inflation are worth looking at, however, particularly before we discuss platinum. Beyond a general awareness that gold has a positive relationship to inflation, for those who’ve tried it, it is difficult to statistically establish their correlations. What endpoints to use, what periodicity, and what interest and inflation rates to pair in a series for correlation? Beyond the awareness that gold is a better way to hold wealth when one’s currency is collapsing, the actual numbers can make it tough. It is much more reliable to show – over time – the relationship between real interest rates and gold. Real interest rates – benchmark rates minus the benchmark inflation rate – point to the economy’s demand for capital. In low real rate markets, investors aren’t as penalized for holding gold as when markets take off and people are hungry for capital they can use towards new building new technologies, fleets, plants, new markets… things that (hopefully) generate more income than what gold might normally offer. 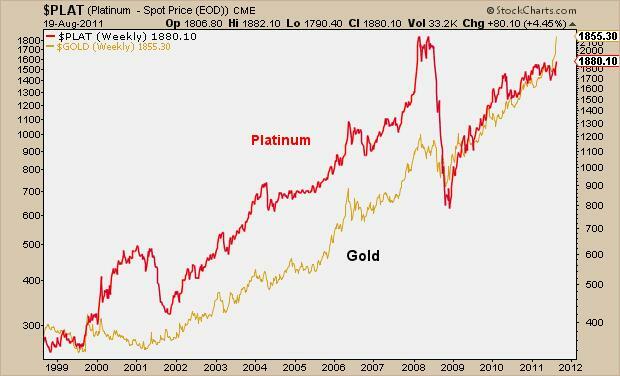 We argue that platinum has a similar association with inflation as gold. If the local unit of account is buying less and less, which can idicate a crisis or be its own crisis, then it is better to hold assets that are not so susceptible to default. PHYSICAL Platinum is, like gold, an asset that is not another person’s, corporation’s, or government’s liability. In times of declining confidence in fiat currencies or overall instability, platinum has typically held its relative value. Yet beyond its relation to inflation (generally inverse) platinum also holds a particular positive relationship with demand for capital. In periods of strong, inflation adjusted, demand for investment capital, the platinum markets tend to show demand growth and potential price appreciation. Capitalists need platinum for their refineries, products, buildings, and their technologies, and for their employees to populate their shopping malls and boutiques. This strong correspondence of platinum demand with economic growth demonstrates a reason behind platinum’s differences from gold. So, unlike gold, platinum is both a tangible asset for investors and rises when economies rise results in more industrial demand. Positive economic growth and global demand contribute to the annual demand for platinum. While gold and platinum jewelry demand both benefit from rising consumer wealth, increasing incomes mean not only more jewellry demand but more industrial and consumer goods purchased. Many of our most demanding technologies – catalytic converters, hard disk drives, cancer drugs, crucible for nuclear payloads, industrial paints, conventional explosives, to name a few… often require platinum. No matter where we are in a market / economic cycle, owning physical platinum can be a means to protect investors from the vagaries of financial and currency market downturns. And, if an economy grows, industries buy more platinum to produce products, causing investor-owned bars and coins to rise in price. As of January 11, 2017, gold is $1,192 and platinum is at $974. This means you can buy platinum at a 18% discount to gold. Clearly, platinum is a bargain! The conservative approach is to simply favor buying platinum bars or coins and take delivery of them, instead of gold coins or bars. If you are a trader in the commodity markets, and you like the reasoning above, you could simultaneously short gold and buy an equal number of ounces of platinum. Editor’s Note: Aran Murphy was the Sr. Economist for the Platinum Guild International in New York. More recently, he was a Director at one of the largest pension fund managers in the country. 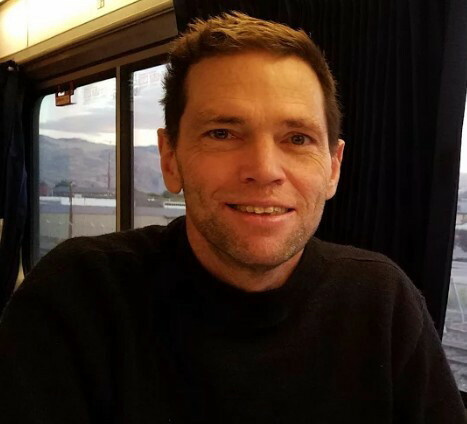 I asked him if he could take a break from his extended convalescence (in his fourth year fighting cancer) to write his thoughts down for us in a personal capacity. My hope is that he will get well, and also, that you find his observations helpful. Beware Of The Dollar: The U.S. Ponzi Economy Is Malfunctioning.